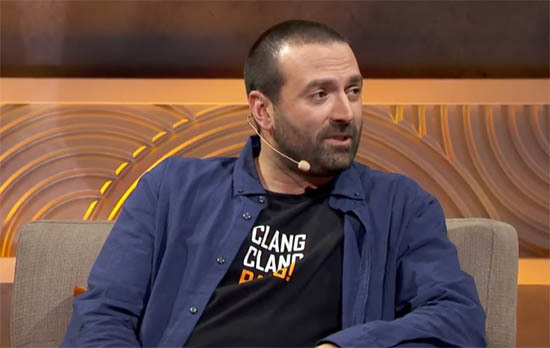 During today's exclusive E3 Coliseum show, Jason Blundell announced that "Classified" will be a new zombies map included in Black Ops 4. This map joins the three other zombies maps (Voyage of Despair, IX and Blood of the Dead) to launch alongside Black Ops 4 in October and will feature the original Ultimis Crew in a remaster of the classic Five map. E3 is of course the yearly gaming show, easily the biggest of the family that also consists of Gamescom and Pax. The largest names in the gaming industry take the opportunity to reveal their latest games to millions of viewers worldwide. In between the major live conferences of Microsoft, Sony, Ubisoft and others, short slots are available for individual developers to go into more detail on their own productions. It was on the afternoon of the 13th June that a small Treyarch team took their opportunity to reveal new information about Black Ops 4, alongside the well respected journalist Geoff Keighley. We already had a nailed on clue that a fourth map was coming when just a few days earlier Treyarch posted details about the special editions of the game in a blog post. 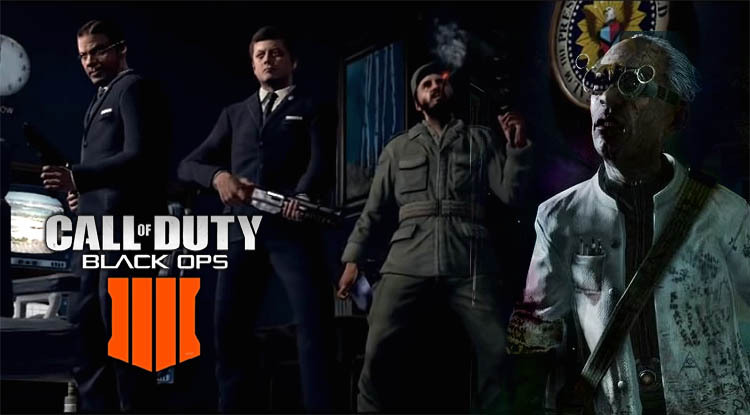 The Digital Deluxe and Pro versions in particular, mentioned a "Classified" zombies map as an exclusive reward that would be available at launch. Although only titled as "Classified", there was a big clue in one of the letters which appeared to show a Pentagon symbol. This of course alluded to a remaster of the classic "Five" map. Earlier in the year, no one would have expected Treyarch to come up with four zombies maps at launch. We expected at least a base map, and a pre-order bonus map that was likely to be a Mob of the Dead remake, but no-one could have predicted that four maps would be available from the get go. We can only assume that removing the single player campaign has freed up alot of development time. It's clear that Jason only wanted to wet our appetite during E3. However, given this new map is based on the original "Five" map, that was included with Black Ops 1, we can make some reasonable assumptions. Five was one of two launch maps for Black Ops 1, with the "Kino der Toten" theater map being the other. The Five map was set inside the confines of the Pentagon, with players taking on the role of a president (Nixon, Castro etc). During the E3 livestream, Jason did confirm that players will not be playing any Presidents in the remaster but will instead control the original Ultimis Crew (Richtofen, Dempsey etc.). The original Five map was famous for introducing the "Winters Howl" wonder weapon that literally freezed zombies in their tracks and would later reappear in the Call of the Dead DLC map that season. The Five map also introduced the Pentagon Thief, a special zombie that would chase players down and steal their equipped weapon. Sadly, he would never appear in zombies again. With the talk of a remastered version coming in Black Ops 4 we can expect to see a much larger version of the Pentagon map, similar to what Blood of the Dead will do with Alcatraz Prison. I would personally love to see a larger underground section of the Pentagon, with more secrets to discover and more special zombies to fight off. Who are the Ultimis Crew? For the benefit of those without an in-depth understanding of the zombies story line, let's quickly explain who the Ultimis crew are. The Ultimis Crew are the familiar characters of Richtofen, Dempsey, Nikolai and Takeo, that we encounter starting from Shi No Numa. The same characters are playable throughout Der Reise, Kino der Toten, Ascension, Shangri-La and Moon. This consumes the entire Black Ops 1 zombies content. 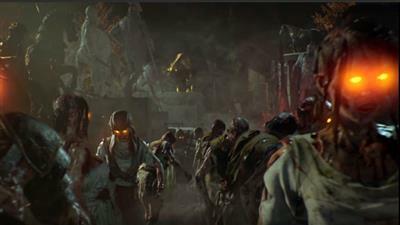 Starting in the Giant DLC map for Black Ops 3, the Primis Crew (an alternate version of the same characters) alters the timeline by killing the Ultimis Richotfen and starting a chain of events that leads us through Der Eisendrache, Zetsubou No Shima and Gorod Krovi, as each of the Ultimis characters are killed one by one. Unfortunately there was no "Classified" trailer shown at E3. When the trailer does eventually drop, you'll see an embedded version here. The new Classified zombies map is currently only included as a bonus for those who purchase a digital special edition of the game. At the time of writing, a physical copy of the game doesn't give you access to the Classified bonus zombies map. In addition to this announced fourth map, the Black Ops Pass (essentially the Season Pass) will provide players with additional zombies content on a regular basis (it's unclear if this will still mean quarterly zombies maps). With so many maps on offer now, they'll be some serious Easter Egg hunting going on in BLOPS4! Fans can expect to learn much more about the entire Black Ops 4 zombies experience when ComicCon starts on 19th July. 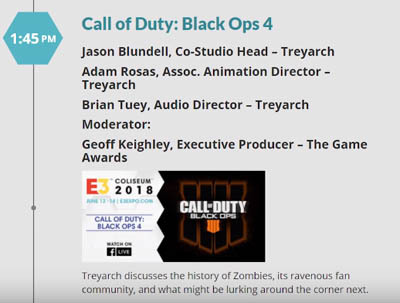 From past experience, Treyarch have typically revealed a new trailer and the collector's edition at this convention, taking the opportunity to focus more on zombies than the multiplayer or campaign.